▶ Compliance with applicable codes and standards. Codes and standards governing the design and construction of wood-frame buildings have evolved based on experience from prior earthquakes and related research. 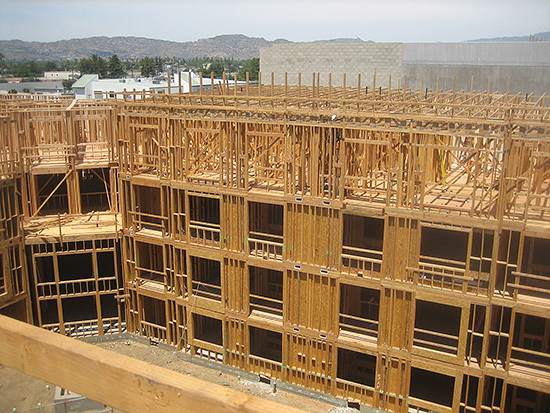 Codes also prescribe minimum fastening requirements for the interconnection of repetitive wood framing members; this is unique to wood-frame construction and beneficial to a building’s seismic performance. 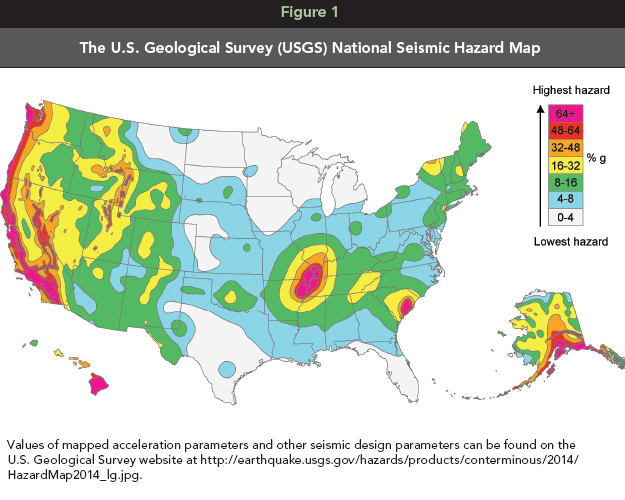 Building codes address the probability and severity of earthquakes by providing design requirements relevant to the site-specific seismic hazard and the building’s risk category. Although codes accept that some non-structural and structural damage will occur, they seek to limit the likelihood of structural collapse in general and to ensure the superior performance of critical and essential facilities such as hospitals and fire stations relative to other structures. These performance expectations recognize that it is not economically feasible to prevent all damage in all buildings when designing for infrequent, large-magnitude earthquakes. This continuing education course provides an overview of seismic-resistive design issues in wood-frame buildings with a focus on compliance with the 2015 International Building Code (IBC) and American Society of Civil Engineers/Structural Engineering Institute Minimum Design Loads for Buildings and Other Structures (ASCE 7-10). The information on code-conforming wood design contained in this course is based on the American Wood Council’s (AWC’s) 2015 National Design Specification® (NDS®) for Wood Construction, and 2015 Special Design Provisions for Wind and Seismic (SDPWS). The NDS and SDPWS are adopted by reference in the 2015 IBC. Seismic design forces are specified in the building code to allow for proportioning of strength and stiffness of the seismic force-resisting system. Structures with ductile detailing, redundancy and regularity are favored for seismic force resistance. 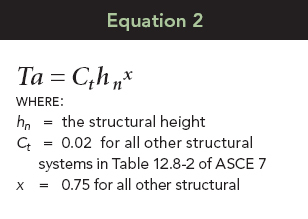 These beneficial characteristics are specifically recognized in the seismic design requirements. Structures with ductile detailing, redundancy and regularity are favored for seismic force resistance. This structure includes repetitive wood framing and ductile nailed wood structural panel shear walls and diaphragms.